The Holman Bible Dictionary edited by Trent C. Butler has become one of the best-selling Bible reference tools since its publication in 1991. 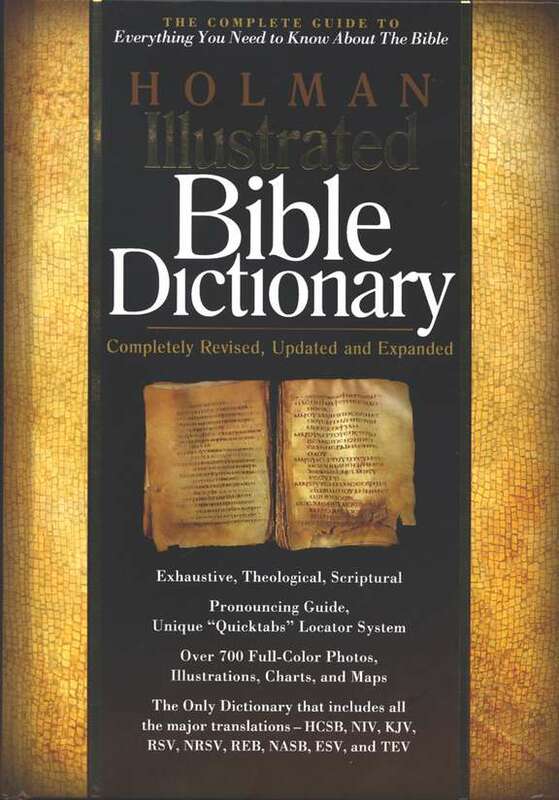 Now this revised, updated and expanded edition called the Holman Illustrated Bible Dictionary offers even greater value to Bible students and teachers with over 250 new articles, new maps and charts, and 90 new contributors. This book is designed both for those who need information quickly and those who want in depth treatments of hundreds of topics. Each entry begins with a brief definition of the word followed by more detailed information. Through its more than 700 full-color graphics, this book brings readers right into the world of the Bible and enables them to better understand the Scriptures. Over 700 full-color photos, illustrations and charts. Unique scale drawings and reconstructions of biblical places and objects based on careful archaeological research. Major articles on theological topics, collective articles on plants, animals, occupations, etc. Pronunciation guide for all proper nouns and other hard-to-pronounce words. Up-to-date archaeological information from excavations in Israel. Summary definitions that begin each entry for quick reference. A variety of Bible translations used-the only dictionary that includes the HCSB, NIV, KJV, RSV, NRSV,REB, NASB, ESV, and TEV. Many articles based on the original languages, but written in a user-friendly style. Technical language and abbreviations are avoided.